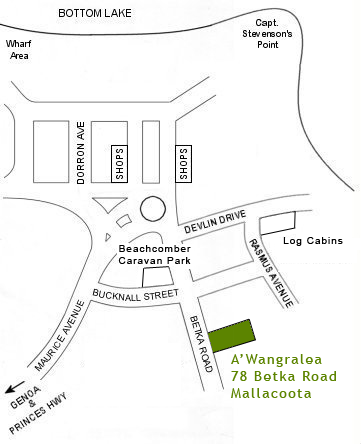 Our caravan park is right in central Mallacoota. The town itself is on the south-eastern tip of Australia boasting a temperate climate and spectacular coastal scenery. Turn off the Princes Highway at Genoa, just south of the Victoria/NSW border, for a scenic 20 minute drive into town.